Sales of Perth office towers are expected to top $1 billion this calendar year in a sign of renewed optimism in the country’s weakest, but improving, capital city office leasing market, reports the AFR. The $1 billion forecast appears in a new CBRE report titled counter-cyclical Perth: Is now the time to buy? According to the report, after more than four years of significant decline, the Perth office market has moved beyond its trough. It added that the revival of Western Australia’s resource-dependent economy and the much higher returns on offer compared with Sydney and Melbourne, were proving attractive to counter-cyclical investors. 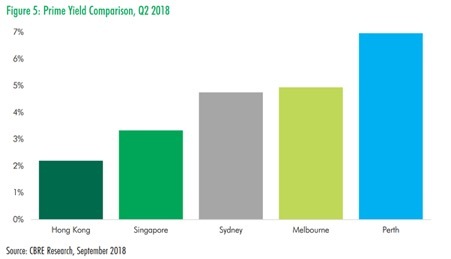 CBRE’s Head of Capital Markets, WA, Aaron Desange said the strengthening demand for Perth office space was underpinning heightened investment activity, with a strong focus on offshore capital. “This year has seen a significant spike in interest for Perth assets from both domestic and offshore investors, with the total transaction volume expected to reach as high as $1 billion by the end of 2018,” he said. “Investors with portfolios heavily weighted to Sydney or Melbourne are increasingly seeking to acquire assets in WA to reduce portfolio risk by providing a hedging impact. “And with significant yield premiums on offer compared to east coast and Asian markets—averaging 220bps in the case of Sydney—greater transaction activity in Perth is only hindered by a lack of investment-grade assets being offered for sale,” Mr Desange said. More than a third of the $1 billion figure hangs on the $350 million sale of the premium-grade Exchange Plaza office tower, being offered to the market by joint owners AMP Capital and Primewest. Sales this year in Perth include Charter Hall’s WorkZone West at 202 Pier Street, which was bought by ASX-listed Elanor Investors Group for $125.25 million in June. This year also saw the $190 million debt-funded deal for Sirona Capital’s Kings Square project in Fremantle, and Growthpoint’s acquisition of 836 William Street for $91.3 million. While Perth’s office market still has the highest capital city vacancy rate at 19.4 per cent, this is down from a peak of 22.5 per cent in January last year boosted by rising white collar employment growth leading to a stabilisation of rents, says the CBRE report. CBRE Research Manager Gemma Alexander said timing was now optimal for counter-cyclical investment in Perth’s commercial office market. “We expect rental growth will accelerate from 2019, and as a result, the current yield spread over Sydney, which is at an almost-record high, will gradually narrow to a level more consistent with the long-term average of 125bps,” she said. “As this narrowing of the yield spread occurs, Perth will outperform Sydney in terms of capital growth and total return,” she added. Ms Alexander said timing in counter-cyclical investing was critical to investors capturing any capital gain as the market started improving. 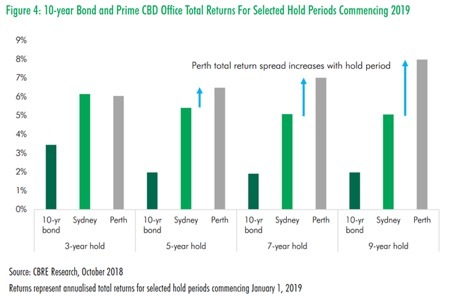 “If an investor decided to enter the Perth CBD office market in 2019, capturing this outperformance will require holding the asset for a longer time period,” she said. 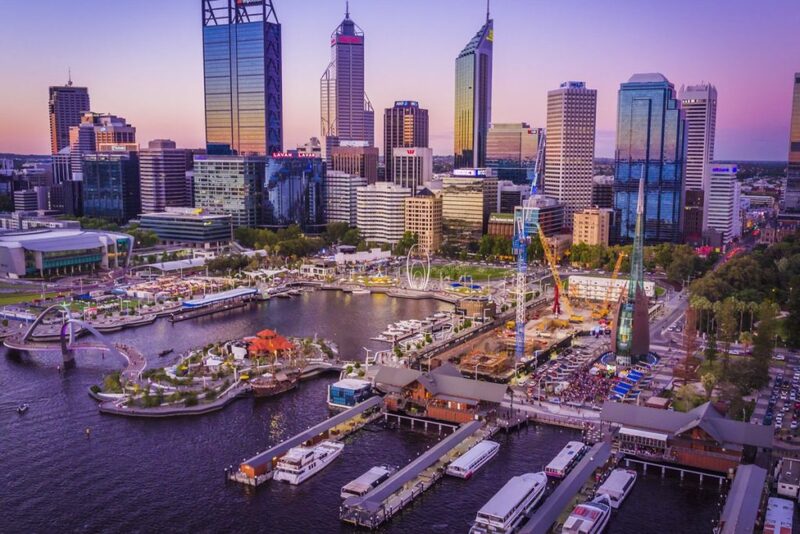 “This is particularly evident among South East Asia investors who are coming to Perth seeking ‘opportunistic’ buys at the bottom of the market cycle. There is a growing awareness that the Perth is now the right time to buy, which we expect will provide a springboard for greater transaction activity moving forward,” she added.